Many towns have one. We do too. It's just that the DDC has made the clock its mascot so-to-speak. So when the clock went down due to Irene, and a $12,000 'pill' was the proposed cure, I felt there was a more homeopathic option to be considered. 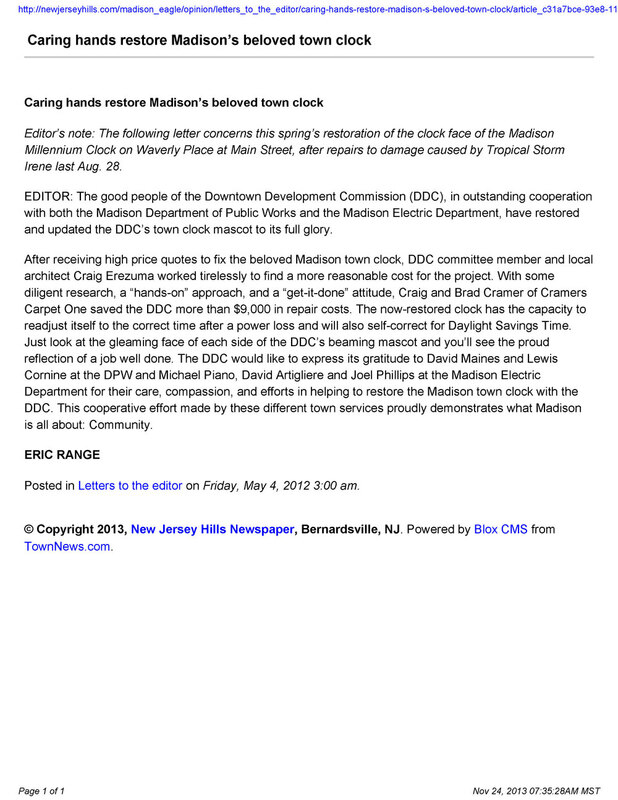 Some research and elbow grease let the DDC spend those $12,000 - it's just that this work put $3,000 towards the clock and the $9,000 savings were spent elsewhere in town. 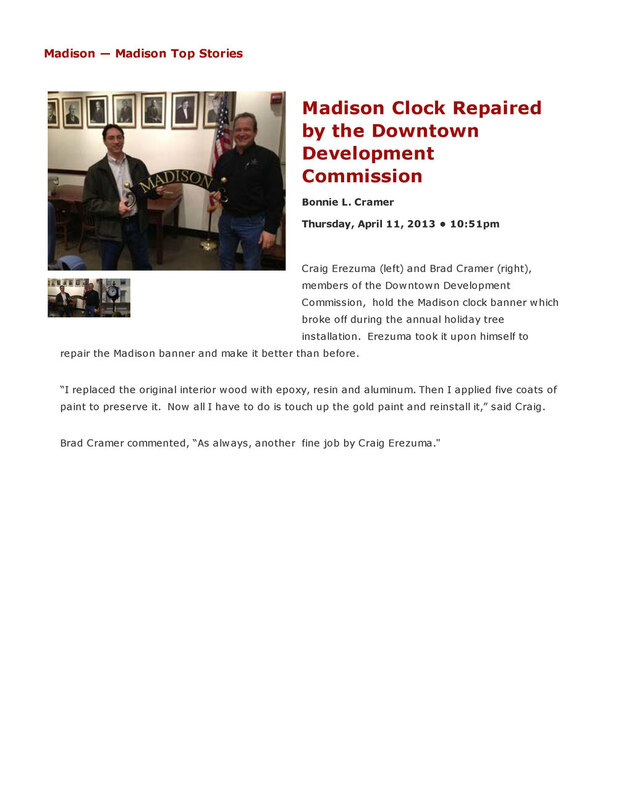 Now, after the 'Steve Austin-like' re-wiring and repair, the clock doesn't need DPW intervention twice a year for day light savings or to be reset upon any power flicker or outage. An internal controller now coordinates it all. Feel free to stay up one night during either one of the time changes - look up at 2:00 am and watch the clock do its time-reversal magic all on its own. Sometimes alternative medicines do work.